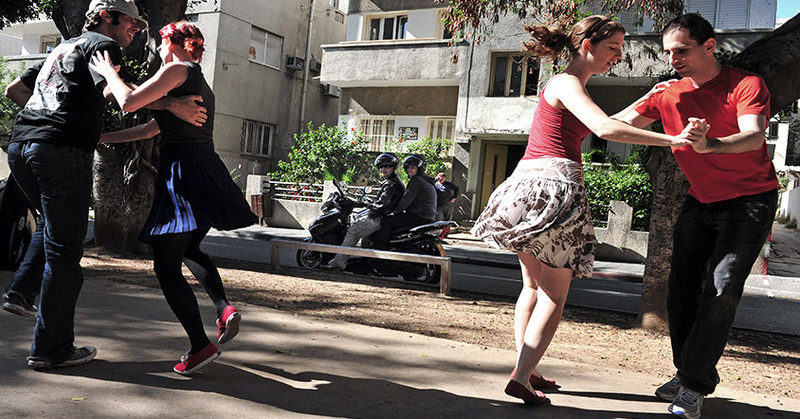 Israelis love to dance and music is a prevalent element in the city’s vibration. So put a love of dance and a passion for music in one place and you know you are going to have fun! The Norman boutique hotel Tel Aviv invites guests to explore the rhythmic side of this fabulous city. Street dancing is incredibly popular with tourists and locals alike and not to be missed if you want to really get a taste for modern Israeli culture. Israeli Folk Dance at the Beach Front. Every Saturday morning, you can either watch or join in the festive gathering of folk formation dancers at Gordon Beach. The dancers are all different ages, shapes and sizes and the only obvious common denominator is the huge smile they all have on their faces. The choreography was established in the late nineteenth century in Israel in order to create a sense of community. In the first kibbutzim the national dances that the new immigrants brought with them from their original countries were fused into new national dances that are still popular today. Recently, these folk dances are mostly performed to Israeli songs, or to other popular songs in Israel, each song with it’s own dance routine. The dances include circle, partner, line, and individual dances. It’s free and it’s great fun! The recently refurbished Sarona complex, boasting wonderful eateries, a not-to-be-missed market and designer stores, also offers street dancing every Saturday evening! Covering all genres of music, there is no age limit and no special skills required, only the intention of having a ball!